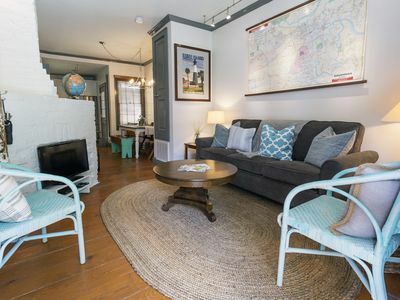 If you're looking for comfortable and nostalgic accommodations on your Georgia vacations, then you've found the right place at Southern Belle. 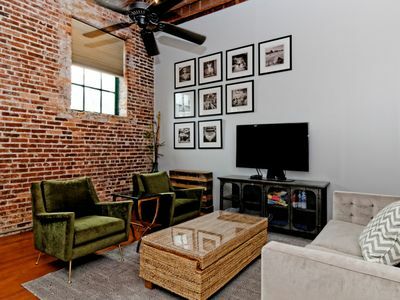 We offer a variety of Savannah vacation rentals from historic to modern and everything in between. 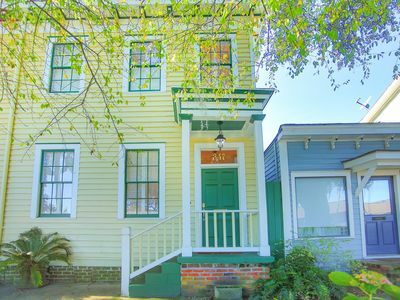 Not only that, but our vacation homes Savannah are right in the downtown area and close to the most popular tourist destinations. 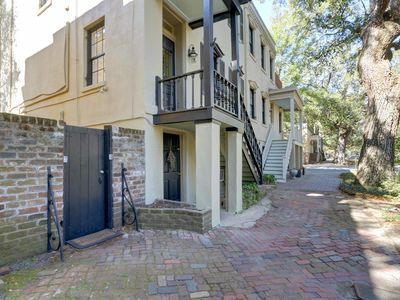 The Mint Julep Estate is one of our nicely located, grand old Savannah vacation rentals. 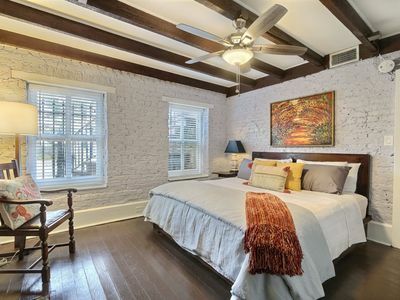 Located right in the heart of the historic district and with a whimsical name sure to evoke the spirit of the south. 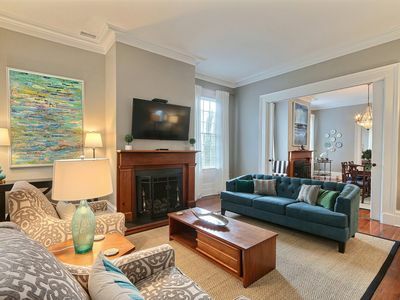 This house is great for Georgia vacations with larger parties as it sleeps 14 in a total of six bedrooms with five bathrooms. 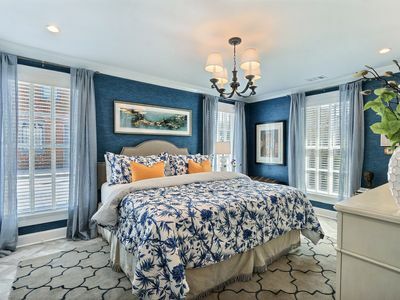 Surrounded by lush landscaping and with a view of a historic neighborhood, the Mint Julep Estate is sure to be one of your top picks for vacation homes Savannah when you come to Georgia. 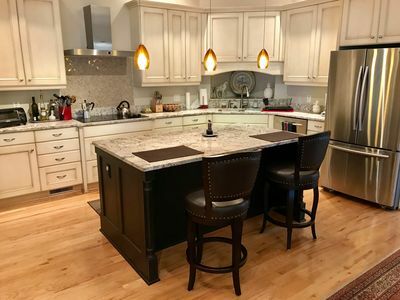 The house comes with all the niceties you would expect from Southern Belle, including a fully equipped kitchen, cable TV, Internet, washer and dryer. 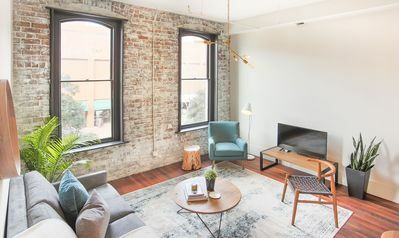 The property is located on Jones Street, putting it not far away from points of interest and eateries like Pulaski Square, Mrs. Wilkes Dining Room, Chatham Square, Noble Fare and Crystal Beer Parlor. 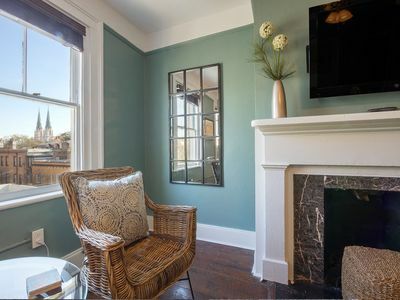 After you get settled into this grand old house, you can prepare to start exploring the surrounding area. One of the first places many guests head is Forsyth Park. This is a large 30 acre park that is also home to a vintage iron fountain. Forsyth Park is a local and visitor hub in Savannah. You can stroll the grounds, stop for a picnic or relax on one of the many benches and people watch. 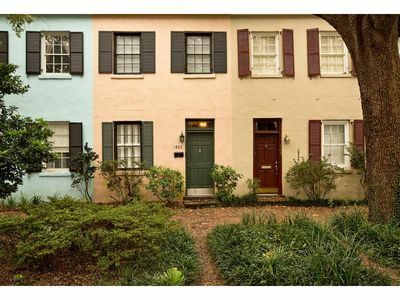 A few other popular old parks are Crawford Square and Chippewa Square, the latter of which was in the movie Forrest Gump. 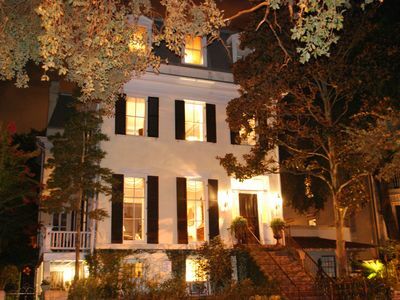 If you love taking in some history, then the Colonial Park Cemetery, the Owens-Thomas House and the Davenport House Museum are must-sees. 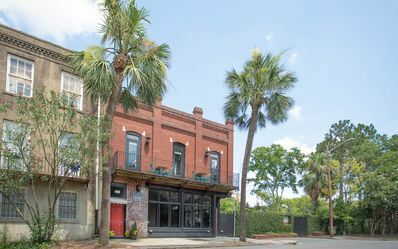 There are numerous restaurants in Savannah, but two of the more unique offerings are the Olde Pink House and the Pirates' House. 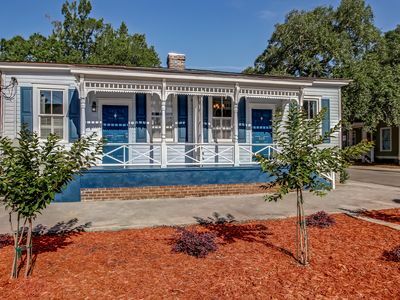 Make planning for all your Georgia vacations easy by calling Southern Belle and booking one of our charming Savannah vacation rentals for your stay. 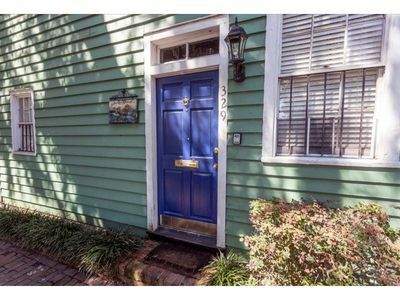 Our variety of vacation homes Savannah means you can easily find that perfect house close to everything you want to see. 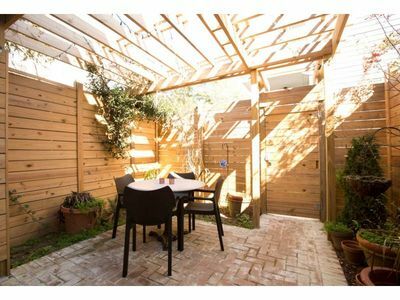 Please note that we DO NOT accept Friday to Friday or Saturday to Saturday bookings for this property. 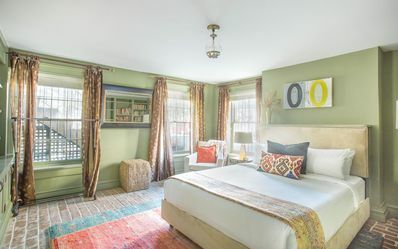 If you book either type your stay will be CANCELED. 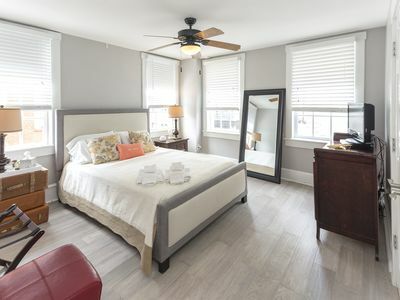 Southern Belle Vacation Rentals is a full service property management company dedicated to providing clients with great places to stay and friendly service. We’re here to help and give advice on just about anything. 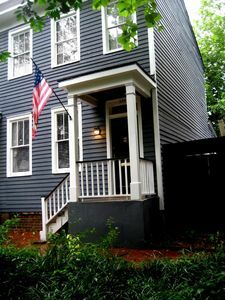 Our philosophy is to provide great service, desirable homes, and an overall “can do” attitude to guests and homeowners. To continue having a strong reputation for listening to our customers and exceeding their expectations, again and again. To ease stress by making trips as perfect as possible. Just bring a suitcase, a smile, and let us do the rest! 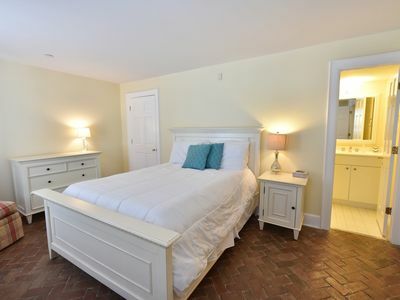 Mariner's Cottage--Reserved Parking, Walk Everywhere! City Market Central: Your Gateway To Downtown! 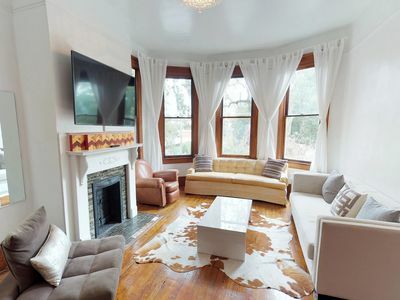 Stay with Lucky Savannah: Spacious Loft Amongst Oak Trees, Walk Everywhere!